Real dinos couldn’t look more real. Dying for a taste of danger? Now you needn’t even leave your sofa. Stop driving yourself crazy waiting for the next Jurassic Park film. This 3D spectacular takes you into a lost world of living monsters. Your chance to see over 20 dinosaurs in scarily realistic close-up. Hold back a scream as raptors chase their prey. Marvel at a lumbering diplodocus in the jungle. 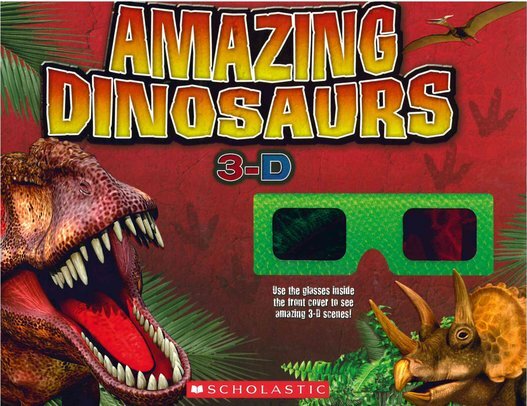 The ultimate 3D dino experience, with amazing facts and a dinosaur timeline. I want this book please!! Really Creepy-Crawly Readers: Fierce Eight-Legged Fighters!